When David Strickland announced last month that he was stepping down as the head of the National Highway Traffic Safety Administration, he didn’t give any clues about where he might be going. The news came out this week: The nation’s top auto regulator is going to be a lobbyist at a law firm that deals with auto regulation, raising concerns that he’s going through the revolving door between the public and private sector, more to the benefit of industry than the public. At Venable, LLP — also known for fighting the government moratorium on offshore drilling after the BP Deepwater Horizon disaster — Strickland will work on government relations (a fancy term for lobbying) as part of the firm’s regulatory group, which represents many major automakers on a variety of matters — “including some before NHTSA,” as The Detroit News notes. In an interview with the LegalTimes blog, Strickland said he’s excited to work on legal issues surrounding self-driving cars and other emerging technologies. The firm claims credit for “winning the 10-year environmental battle to build Utah’s Legacy Parkway,” helping UDOT get wetlands and other permits to build a four-lane highway along the Great Salt Lake despite court challenges by concerned environmental groups. Venable also helped orchestrate the public-private partnership that built Texas State Highway 130 Segments 5 and 6, which are now facing default, as well as Texas’ segment of Interstate 69 — the NAFTA superhighway — even as other states had second thoughts about funding this boondoggle. Venable also represents several major bicycle industry groups, including the International Bicycle Association and the National Bicycle Dealers Association. Strickland isn’t the only major DOT figure to transition directly into lobbying. Former Transportation Secretary Ray LaHood was recently named a co-chairman of Building America’s Future, a group that advocates for more infrastructure spending. However, BAF’s main constituency is elected officials who support more infrastructure investment — its direct financial interests can’t compare to Venable’s. A 2009 Obama executive order tried to close the revolving door in 2009, ordering appointees leaving government to refrain from lobbying their former colleagues. That would still allow Strickland and LaHood to lobby Congress. Does it make sense that Strickland — the person tasked with representing the public interest on auto safety for the last four years — will now represent the auto industry on those same issues? 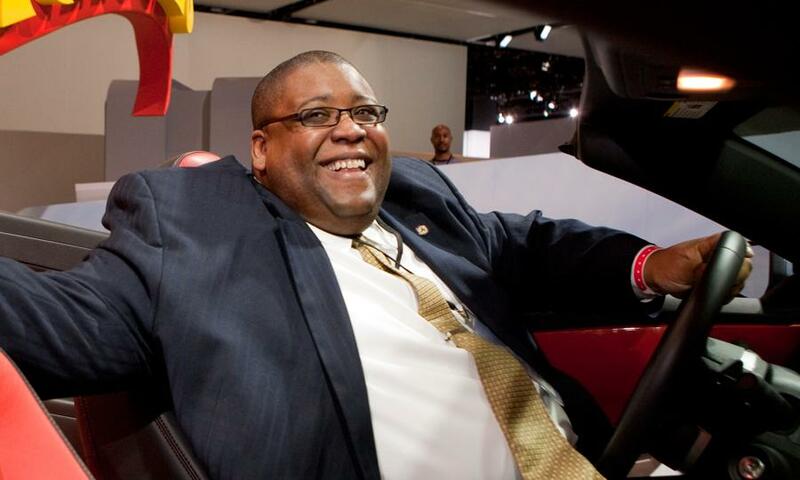 When Strickland announced his departure, the auto industry praised him for always keeping his door open to them. None of this is to say that Strickland hasn’t had some significant accomplishments at NHTSA. He helped broker the deal to double fuel efficiency standards, led the investigation into Toyota’s sudden acceleration problem, pushed ignition interlocks for drunk drivers, and mandated rearview cameras in all new vehicles. When he first was appointed the head of NHTSA, Strickland said, “We are going to have to devote more attention to pedestrian safety issues,” noting that biking and walking are increasingly popular. But advocates have felt that under Strickland, NHTSA has not been aggressive enough in addressing safety issues for “non-occupants,” including bicyclists and pedestrians. That may have been changing just as Strickland was on his way out — the Bike League’s Andy Clarke notes that the NHTSA chief “came a long way on bike issues this year,” attending both U.S. DOT bike safety summits in 2013. Strickland’s last day at NHTSA is January 17. David Friedman, Strickland’s temporary replacement at NHTSA, came to the agency from the Clean Vehicles Program at the progressive Union of Concerned Scientists. As an advocate for higher fuel economy standards, he has often tussled with auto companies. Sounds more like he moved very smoothly through the revolving door. That said, if his focus is mainly on getting driverless cars approved for road use, more power to him. I kind of doubt it though. how is this any different than JPMorgan Chase hiring sons of chinese officials to gain influence and business? I used to be a reporter on capitol hill covering the CPSC and much of Strickland’s consumer safety measures with Sen. Mark Pryor. He always struck me as a hard-working and honest champion of the people. Looks like I was wrong. Self-Driving Cars Lower Government Union Jobs? Why Are Carmakers Allowed to Sell Products That Go Faster Than 100 MPH? It's never safe to drive 115 mph on public roadways. Why do we allow companies to sell millions of cars that can reach those speeds or higher?